ANSWERS™ Pet Food never uses heat or pressure pasteurization, which can destroy nutrients and denature proteins that can be potential allergens. Fermentation provides powerful health benefits, including improved gut health, enhanced digestibility, and enhanced nutrient content. Fermented decaffeinated green tea (Kombucha) naturally protects the food from pathogenic bacteria all the way to the bowl. ANSWERS™ Pet Food only uses meat sourced from farms with a Global Animal Partnership (GAP) rating. This assures not only the highest quality meat, but also a truly humane handling of livestock. ANSWERS™ food never includes synthetic vitamins, which can be potentially harmful and put stress on your dog's elimination organs (the kidney and liver). 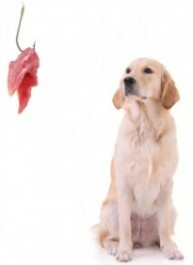 It also only uses whole food to bring all the necessary nutrients to your dog's diet. Plastic not only pollutes our environment, but also transmits toxins to food, especially when frozen in plastic. ANSWERS™ uses green packaging to minimize plastic contamination to the environment and your pet’s food. ANSWERS™ food contains the right combination of muscle meat (60 percent), organ meat (30 percent), and ground bone (10 percent) to deliver proper nutrition to your dog. ANSWERS™ Detailed™ formula has the right protein to fat ratio, making it appropriate to feed to dogs with kidney disease. ANSWERS™ Pet Food is professionally formulated by their food scientist to ensure dogs get all the nutrients they need. There is no need to supplement with probiotics, enzymes, or Omega-3. It is all in the food at the precise amounts that dogs require.